(Westchester) Howie Hawkins, the Green Party candidate for Governor, called today for rapid major investment in renewable clean energy sources so as to move us to a carbon free energy system within a decade. He released his Climate Change plan, which includes a shut down of Indian Point and other nuclear power plants, opposing proposals in the State Energy Master Plan to develop up to 20 nuclear plants as a way to reduce climate change. Hawkins described a five point plan to reduce local property taxes, including a state takeover of the local contributions to Medicaid; enactment of a state single payer health care system; compliance with existing state law on state revenue sharing; and increased state funding of local schools. Hawkins plans to redirect revenue from the flawed STAR Property Tax Relief Program to target relief to those who most need it though an expanded property tax circuit breaker. The Green Party candidate said he was looking forward to debating these issues with the other Gubernatorial candidates. The first debate will take place at Hofstra University on Monday October 18. Hawkins helped form the Clamshell Alliance that was pivotal in halting the spread of nuclear energy in the US when they occupied the Seabrook Nuclear Power Plan site in 1977 and 1414 civil disobedients were arrested and held in National Guard Armories for 10 days. "Nuclear power plants were a bad idea three decades ago and they remain a bad idea today. They are way too costly, and pose major environmental and financial problems at every step of the way, from mining of the uranium fuel to operation to decommissioning to disposal of radioactive wastes. Even if you mistakenly decided to build more nukes, it would take so long to bring them on line that the effort to resolve climate change will have been won or lost long before they begin to operate," said Hawkins. Hawkins said that the negative impact on fish and the lack of a realistic evacuation plan gave the state ample reasons to close the plant. Indian Point has also had problems with a steam boiler rupture, a transformer explosion, siren failures, increasing leaks of radioactive material, and numerous unplanned closures. Hawkins said that while the Attorney General's office has done good work recently in supporting efforts to get the Nuclear Regulatory Commission to shut down the plant, since announcing his run for Governor, Andrew Cuomo has been more evasive as to the conditions under which he would seek the plant's closure. 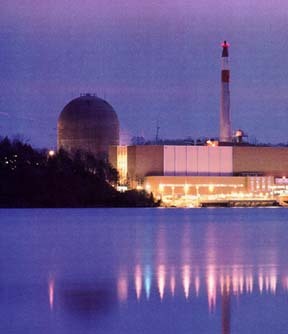 Indian Point 2 & 3 are currently operating under their original 40-year licenses, which will expire in 2013 and 2015, respectively. The NRC has now accepted Entergy's application for renewal. Both IP2 and IP3 have been plagued with major safety problems for decades and remain vulnerable to terrorist attacks. As the facility continues to age, Indian Point will experience an increasing number of equipment and safety-related failures. In addition to shutting the plant down, Hawkins supports the installation of cooling towers to reduce the intake of water, which has been harming marine life. As Governor, Hawkins said that he would work with the federal government to push General Electric to finish the dredging of PCBs from the Hudson River as soon as possible. GE once again is trying to delay the cleanup, calling for additional studies since the level of PCBs was higher than they predicted. For similar reasons, Hawkins has called for a ban on the controversial process of hydrofracking for natural gas. "Natural gas is a fossil fuel. In addition to the host of environmental and public health problems involved with hydrofracking, including the release of significant greenhouse gases, investing in natural gas only hinders the investment in clean, renewable energy and the transition to a carbon free economy," noted Hawkins. The Green Party candidate opposes the property tax cap being promoted by Democrats Andrew Cuomo and Governor Paterson, as well as the mandatory property tax cuts proposed by Republican Carl Paladino. "A major factor in the high rate of property taxes in New York is the incredible level of tax cuts given to the wealthy by state lawmakers over the last three decades, costing more than $24 billion annually between the rebate of the Stock Transfer Tax and the flatter personal income tax structure of today compared to the more progressive structure before the 1980s. Meanwhile, the state is only meeting 25% of its revenue sharing requirements under Sec. 54 of the State Finance Law. This has resulted in a great tax shift from a progressive income tax to regressive local sales and property taxes, from the very rich upper class to the poor, working, and middle classes,” Hawkins said. Hawkins said that New York is unusual in that it requires local governments (57 counties and the City of New York) to pay for part of the cost of the Medicaid program. New York is one of only 13 states that make counties pay for part of the Medicaid costs. The state now pays 68 percent of the local share, leaving the remaining 32 percent as a cost for the counties. Medicaid is the single largest, mandated budget item in every New York county. It consumes, on average, 45 percent of each county’s real property tax levy. In some instances, 100 percent of the county property tax levy is consumed by Medicaid. The national Tax Foundation's just released annual property tax report found that nine New York counties are in the top ten of the highest property taxes in the nation. That result, Hawkins said, was due to the State’s requirement that counties fund a large portion of Medicaid. Medicaid costs for Hawkins' home county of Onondaga are about a third of the local tax burden that has to be raised from property and sales taxes. Onondaga County’s Medicaid share has skyrocketed to $97 million in 2010 from $58 million in 2000. Hawkins said that he has run into county legislators of both major parties around the state during his campaign who are nearly universal in opposition to a centrally mandated one-size-fits-all property tax cap or cut. “They tell me a state mandated cap or cut on local property taxes will tie their hands, eliminate local discretion and choice, and force them to cut essential public safety, infrastructure maintenance, and school funding,” Hawkins said. Hawkins said his call for state takeover of all Medicaid costs was in accordance with the report and recommendations of the New York Association of Counties (NYSAC) released last Friday. Hawkins said he would support the eventual takeover by the state of county administration of the various safety net programs (Temporary Assistance, Safety Net Assistance, Food Stamps) to reduce overall costs and improve the delivery of services and benefits to low-income New Yorkers. A major factor in the escalation of Medicaid costs has been the increasing provision of long term care for the elderly and disabled. This high rate of increase is due to a combination of the general high rate of inflation in health care costs and the increasing number of elderly whose long term care is paid for by Medicaid. Hawkins said that he opposes proposals by his opponents to cut health care services for the elderly and the disabled. Instead, the state should absorb the approximately $8.5 billion local contribution (17%) to the Medicaid program. "New York has to cut health care costs. This must start by getting rid of the huge waste associated with private health insurance. The state's own study, while biased against a single payer Medicare for all program, had to still reluctantly admit that single payer was by far the most cost-efficient way to provide quality health care to all New Yorkers. High administrative costs, fragmentary billing system, duplicative services, high executive salaries, and profit-oriented price raising would all be gone. A single payer system would also cut tax spending by reducing the amount local governments and school districts pay to provide health care benefits to their workers," noted Hawkins. NYSAC reported that administration only accounted for 2% of the total $52 billion the State spent on Medicaid last year. By contrast, administration, including exorbitant executive salaries, accounts for 31% of private health insurance costs. The state health care funding study by the Urban Institute concluded that a state single payer system would reduce health care costs for New Yorkers by $28 billion annually by 2019 compared to the insurance mandate system just enacted by Congress. Hawkins said that a property tax cap was the wrong approach to address the problem of high property taxes. It would merely freeze in place existing inequities in the state's tax system that already hurts senior citizens and workers while starving schools of much needed funding increases that have been mandated by the courts. Hawkins cited a November 2009 study by Institute on Taxation & Economic Policy showing that the richest 1% of New Yorkers, with average incomes over $3 million a year, pay a lower percentage of their incomes for state and local taxes than the other 99%. The study also shows that the regressive nature of the property tax burden. The poorest 20% pays 5.8% of the income in property tax. The next 75% in the working and middle classes pay between 3.8% and 4.1% of the income in property taxes. But the 96th to 99th percentiles pay only 3.3% and the top 1% pays only 1.5% of their incomes in property taxes. The sales tax is even more regressive, with the poorest 20% paying 7.3% of their income in sales taxes, a tax rate that steadily declines as income goes to the top 1%, which pays only 0.9% of their income in sales taxes. Hawkins said the experience in other states show that property tax caps lead to cuts in education and other essential services. He said the education system in his native California deteriorated dramatically after a property tax cap was imposed by Proposition 13 in 1978. When he went to public schools in the 1950s and 1960s, California schools ranked nationally as among the best. Today they have fallen to 48th in student achievement and 49th in per student funding, Hawkins noted. Hawkins said he would target tax relief (e.g. S. 4239, Krueger) to senior citizens and middle-class homeowners and renters who need it the most, through a circuit breaker, which would limit property taxes to a percentage of household income. Thirty-five states already have adopted circuit breakers to provide help to homeowners. New York already has a limited circuit breaker.